SAP Concur Fusion is a major conference in the field of business travel and corporate travel. For companies like Carrousel, it gives us the opportunity to learn about the latest innovations in travel technology and new ideas. In short, an event that gives us the tools to serve you better. One of the best parts of SAP Concur Fusion is learning how we can leverage new tools and ideas. The variety of integrated tools on display, designed to drive productivity and efficiency, provide great value. 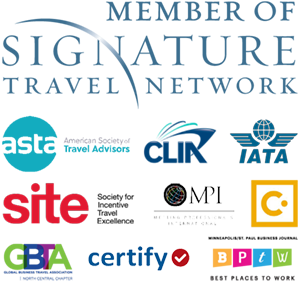 Here are some of the things we learned that could benefit your business travel program. Where you’re sitting on a flight can sometimes make or break your travel experience. With SeatFinder for Compleat, travelers can snag their preferred seat without a lot of effort. Just specify your particular preferences for seating when booking, the software will monitor seats as they become available, switching your seat automatically. Learn more about SeatFinder for Compleat. TripIt already provides users with a lot of handy features to organize travel. They’ve now added the option to see how long your wait may be in airport security lines, allowing your business travelers to plan more efficiently. Additionally, travelers can contact Carrousel Travel directly within the app to request changes. Learn more about TripIt Pro. A Concur partner, Motus is a technology company that focuses on—you guessed it—mileage. Their solution is focused on reducing confusion and incorrect reporting of mileage, which result in lost costs for your organization. By making it easier for employees to track their mileage and reimbursement, they can drive significant cost savings (20-30% annually). Learn more about Motus. Value-added tax, or VAT, is a big source of income for many countries around the world including the European Union, China, and more (although not the United States, which uses sales tax). However, foreigners are often eligible for a VAT refund, usually found in small increments. Think hotel bills, meal payment, things like that. And since every country has their own rules, it’s hard for an organization to contain all the knowledge necessary to collect these refunds, leaving a lot of money on the table as VAT goes unclaimed. VATBox streamlines this process, and is more efficient than most human VAT experts. Their technology ensures that business travel is as efficient and cost-effective as possible since their knowledge base is able to apply all relevant country rules, regulations and best practices. Learn more about VATBox. 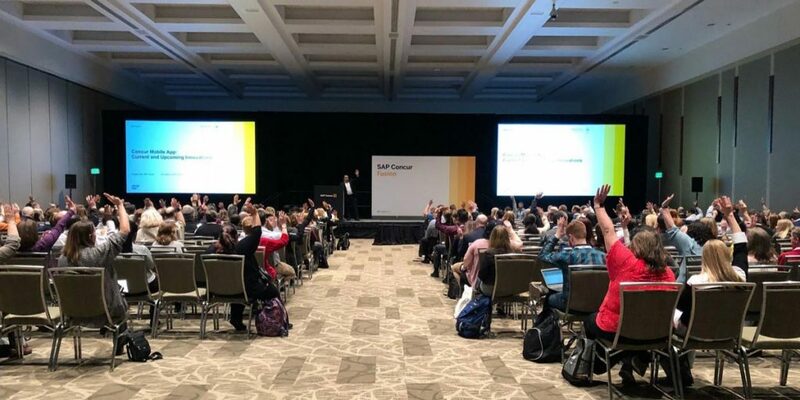 Whether you’re an individual looking to make business travel a little easier for yourself or an organization focused on the bottom line, the SAP Concur Fusion conference provides value for everyone. To learn more about the conference and how we can assist your corporate/business travel program, contact Carrousel Travel today!